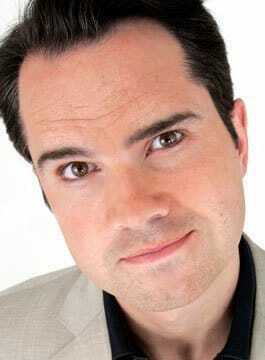 Jimmy Carr is one of the most original and distinctive stars on television, radio and the stage. Often referred to as ‘the hardest working man in comedy’, Jimmy Carr has performed his stand up tour shows to millions of people across the UK. Jimmy is the host of 8 Out of 10 Cats and the successful spin-off – 8 Out Of 10 Cats Does Countdown. Other TV credits include over 10 years as host of Channel 4’s Big Fat Quiz Of The Year and three appearances on The Royal Variety Performance. He has also regularly appeared on shows such as QI and A League Of Their Own, was one of the stars of Channel 4’s 10 O’Clock Live and has been a guest on chat shows such as The Jonathan Ross Show, Graham Norton and Alan Carr: Chatty Man. Jimmy has numerous live DVD releases to his name, selling over 1.2 million copies to date. A household name in the UK, Jimmy is also a rising star in the US, where his profile continues to grow. Jimmy has performed two Comedy Central Specials, has performed stand-up on The Tonight Show five times (with both Jimmy Fallon and Jay Leno) and has also appeared on NBC’s Late Night with Conan O’Brien five times. Jimmy’s game show Distraction aired on Comedy Central and was subsequently repeated. In March 2012, Jimmy performed in The Secret Policeman’s Ball at Radio City Hall in New York, transmitted live in the US on EPIX and again in the UK on Channel 4. Jimmy Carr is available to perform stand-up comedy at corporate and private events and is also an experienced and entertaining awards host.